Northwest National Real Estate: Price Reduction! Friendly Montana Community! Price Reduction! Friendly Montana Community! PRICE REDUCED!!!! 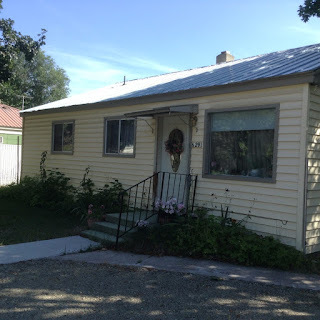 Affordable and ideal starter or retirement home in the small friendly town of Superior, Montana. Great in town location, close to all city services, walking distance to the City Park and the beautiful Clark Fork River is nearby. The house is situated in a quiet neighborhood and has a large back yard with plenty of space for a garden. Comfortable older home with hard wood flooring, updated kitchen cabinets and sinks, rear covered patio, fruit trees, re-insulated ceiling and newer flooring in bathroom. Motivated seller! Priced at $80,000. Contact Tammy Marquart at Spangler Real Estate (406) 360-4516 for a private showing.